South Australia is huge & not surprisingly this poses problems providing a response to serious trauma in the country. Thankfully rural doctors are mostly well-trained and thrive on the challenge of delivering excellent emergency care in their local hospitals…and if needed, can call upon the retrieval service to transfer critically unwell patients. The Statewide retrieval service has been re-invented in recent years, with MedSTAR now offering a world class service rivalling other States. Certainly the improvement in service delivery has been noticed from where I stand, as a rural doctor in country SA. However, I wonder if there’s scope to improve things even further? In the UK, an entity called BASICS (British Association Immediate Care Scheme) enlists the skills of doctors with an interest in prehospital medicine & trauma to provide medical expertise at the roadside. BASICS personnel don’t replace paramedics or retrieval services – rather they “value add” to a situation – particularly when paramedic skills are exhausted and retrieval services have yet to arrive (see the BASICS DOC blog for more details). In Australia, the failure to call local doctors (many with critical care/anaesthetic skills) has been slammed in the response to the Kerang train crash disaster in 2007. If the UK, with it’s small landmass, huge population and plethora of aeromedical and land-based retrieval services has a need for a service like BASICS, surely there’s more of a need in rural Australia where distances are greater and retrieval may take hours, not minutes? I posted on this recently on RRMEO, the excellent educational resource from ACRRM. Currently, most trauma cases are dealt with by paramedics (and in the bush, these are often volunteers, not paid personnel) and a decision made to either retrieve direct from the scene (primary retrieval) or else transfer the victim to a rural hospital (where they may require secondary retrieval to definitive care). On occasions, local rural doctors may be called to assist at the roadside. Or not, as in Kerang. It’s an informal process which invites problems. There’s a potential problem with relying on the local doctor. Emergency Medicine training in rural Australia is not formalised. Some doctors have a wealth of EM experience – some have barely any. Calling the local doctor may be a good thing…or it may not add much. Dr Peter Arvier in Tasmania has championed the need for EM training in rural Australia (demonstration of training is needed for rural docs practicing obstetrics, anaesthetics and surgery). Improving EM training is probably a good thing for the bush, although I hope old farts like me can be grandfathered if they bring in a rural EM diploma! On top of this, a doctor attending an incident as the ‘oncall’ is still responsible for patients presenting to the local hospital. I’ve been called out to incidents 60km away from the hospital…and whilst happy to attend, I’ve had to ensure that someone else can cover in my absence. In South Australia there has been an embryonic scheme developed by Dr Peter Joyner, known as RERN (Rural Emergency Responder Network) drawn from the ranks of rural doctors. These guys make themselves available to be called by SA Ambulance at the roadside, in addition to their usual oncall responsibilities. It’s a good idea, but I think doesn’t go far enough…the rural doctor workforce represents a hugh asset which is underused. Sure there are ad hoc arrangements (‘Help! We need a doc’) but without formalised training and equipment appropriate for the prehospital environment, doctors risk becoming ‘enthusiastic amateurs’ (I’m one!). KI DOC is ready and waiting for your trauma call! I am particularly interested in how this sort of scheme would be received in rural Australia. What do others think? Has this idea got legs? 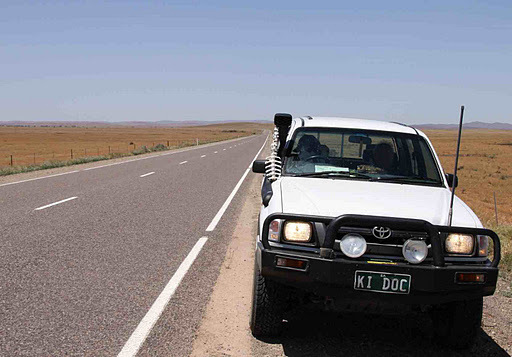 Bottom line – rural doctors are not infrequently called to attend to backup the ambos. Better that the doctors attending are well-trained, well-equipped and enthusiastic…not the present ‘we don’t need you…oh hang on, yes we do‘ approach which relies on the oncall A&E doctor. That’s just not good planning. Recent discussions with fellow rural doctors in South Australia have left me somewhat depressed. I reckon that being a rural doctor is one of, if not the best job in medicine. You really get to enjoy all the ‘best bits’ of medicine, with a diverse workload that is continually challenging. Its also a great lifestyle (I don’t miss living in the city nor being stuck in traffic when commuting to/from the tertiary hospital). And the remuneration for a rural procedural GP is relatively good. But last night I heard from colleagues that specialists now outnumber generalists (GPs) in this State…and that they find medical students are increasingly pursuing careers in lucrative 9-5 specialties rather than general practice. Personally, I find that some specialists are more like partialists – how many times have we seen patients discharged form the ‘chest pain assessment unit’ with a scrawled discharge summary “serial troponins negative, normal exercise-stress test. Diagnosis = non-cardiac.” What the? That’s not a diagnosis…it just means that the patient hasn’t had an angina attack or infarct. They may still have a pulmonary embolus, or a pneumonia, or gallstones, even shingles – all of which can cause chest pain. Thankfully there are still a few “general physicians” around who get the big picture (mostly geriatricians) but they, like the rural doctor, are increasingly marginalised as partialists take over. Now there is a danger here – increasing specialisation can lead to loss of the overview that is so important when treating a patient (and despite modern advances, medicine remains art as well as science). Patients seeking a ‘partialist’ may end up being passed from the cardiologist (not cardiac) to the gastroenterologist (not reflux) to the respiratory physician (not lung). The costs of fragmenting care in this way can be huge, particularly when there’s noone taking control. Trigger-happy GPs (you know the ones – the guys who are writing the specialist referral even as the patient enters the room to sit down) are partly to blame, as is a culture that expects a specialist to be the be-all and end-all in the medical journey. There remains value in a good family doctor, who can see the overall picture, take a decent history and initiate management, perhaps refer for an opinion when necessary, then continue ongoing care. I’m proud to be a generalist, not a partialist. In these days where everyone wants a holistic approach, the family GP is best-placed to deliver such care. Money is also an issue – medical students face increasing debts (some are coming out with debts approaching $100K) and need to pay off their training. There is a perception that general practice is poorly remunerated. The ceiling may be less than some specialties, but the non-monetary benefits of a flexible portfolio career are worth money in the bank. Rural proceduralists can command high incomes, but the cost for this can be no time off and a life cut short by long hours. As the rural workforce dwindles, this problem compounds and the attrition rate accelerates. Why then are we struggling to recruit and retain rural doctors? It may well be lack of exposure, or a teaching hospital that denigrates generalism vs partialism. I was one of these naysayers when I was a junior doctor, but was soon converted once I was first exposed to rural medicine. And there’s the rub – we need to get student doctors exposed to rural medicine early in their careers, and sell them on the lifestyle benefits and income potential that is the drawcard for many in Gen Y. The current contract between RDASA and Country Health SA is up for negotiation (contract expires Dec 2011) and of course one way to hang on to the current declining rural workforce is to improve remuneration for the most arduous part of the work ie: on call duties as outlined by RDASA. Whether the bureaucrats will see merit in this or not is moot – experiences on KI last year, when CHSA willingly spent $2000 a day on locums rather than negotiate with local doctors, leaves me to suspect that bureaucrats may well save a few bob by failing to meet RDASA demands, and instead end up paying 10x more through use of locums. But it probably comes from another budget, so that’s OK?!? On Kangaroo Island we have recently become involved in the PRCC programme, whereby third year students spend a year located in a rural environment to pick up their skills, rather than rotate through traditional ‘firms’ in the teaching hospital. It’s an innovative idea and I hope it works (for my own succession planning and the ongoing needs of my community). South Australia may also soon head down the pathway of encouraging a career in rural medicine through dedicated rural procedural training pathway – a sort of cadetship if you like, similar to that used in Queensland, whereby medical graduates are fast-tracked through rotations relevant to a rural career, not least obstetrics and anaesthetics (traditionally hard to come by)….with the whole deal sweetened by a guaranteed income from State coffers to work as a rural proceduralist. We need these sort of innovations. Because one thing is for sure – if we continue down the pathway of referring everything more complicated than a hangnail to a specialist, health costs will skyrocket and the needs of the public will not be well met. I’m in love…with my KingVision videolaryngoscope. It’s somewhat of a generalism, but anaesthetists tend to be ‘propellor heads’ – they like to fiddle with equipment, & they are invariably seduced by things technical…you can usually tell anaesthetic doctors at a conference – they’re the ones with MacBook Pros or iPads or iPhones. But I digress. Last week was one for coincidences – the local rep sent the KingVision up for me to trial and at the same time Broome Docs posted on the issue of ‘which video laryngoscope‘, whilst Minh Le Cong of RFDS Queensland posted a review of the device on EM-crit. Then to top it off I spent the weekend at the NSW proceduralists conference, where videolaryngoscopy was discussed and utilised both in the simulation lab and in the conference talks. I was so impressed I forked out my own cash to buy one, rather than wait for my local health unit to come to the party. I think that VL is a game changer. Don’t get me wrong, I’m diligent in developing and maintaining my direct laryngoscopy technique…but when faced with a difficult airway, the VL has potential to substantially improve the view. We’ve got the C-MAC up in theatre where I am currently doing some anaesthetic upskilling. It’s a great piece of kit and I think that the ability to see laryngoscopy on the screen is both reassuring for everyone, as well as accelerating the learning curve for novice intubators (they reckon that it takes at least 60 intubations to progress from ‘novice’). There’s also great potential to use the VL to simulate the difficult airway…given that Grade III and Grade IV Cormack-Lehane views are supposed to come along with relative infrequence (less than 1%), I reckon there’s merit in using the VL to take a look at the cords, then either reposition the patient or the scope to simulate a Grade III or IV view…then utilise techniques to still intubate the trachea (BURP, bimanual manipulation, blind pass bougie, stylet etc etc). Again, this greatly advances the learning curve. For the ‘occasional intubator’ (most rural docs) the VL gives additional comfort – particularly when our decision to intubate is often forced due to imminent respiratory failure, or severe obtundation…and invariably in an un-fasted, un-optmised patient with haemodynamic instability. In a collar. Maybe at the roadside. Quite a different kettle of fish to the ASA I/II selected cases fasted for theatre on whom we practice. Of course, the big drawback is money. The C-MAC comes in at around $15K. It’s not a device that is realistically affordable for Kangaroo Island or indeed other small health units in Australia. Some doctors have opted for the AirTraq, which is not a VL as such (relies on prisms to give an optical view)…it’s cheap as chips at under $90 each, but I find that peering through the viewfinder is fiddly and that one loses situational awareness. Hence the KingVision with it’s built-in screen offers similar affordability (blades are about $30 each, the re-usable screen under $1000) and allows me to maintain situational awareness. I plan to have it to hand for anticipated difficult airways (trauma, collar, weird anatomy, failed LEMON etc)…and of course to use it now and then on routine lists to keep up skills (the technique is subtley different to DL). Today I popped down to the local hobby store and haggled for a 12 inch TFT monitor with mounts for IV pole…then I’ve hooked up to the KingVision via the supplied composite-out video cable…so now I’ve got a system that allows big screen playback and recording, for a fraction of the cost of a C-MAC. Great for teaching. If you haven’t already, take a look at the KingVision. For the price, it does exactly what is says on the box. Given that tertiary centres insist on having some sort of backup device for the difficult airway, I think that it’s now indefensible for smaller hospitals not to have kit that does the same job.